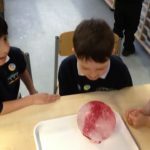 Miss Baldo did an ice balloon experiment with us. 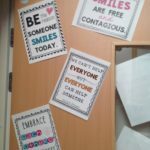 We made predictions and then enjoyed discovering if we were right! On World Book Day we dressed up as characters from books. 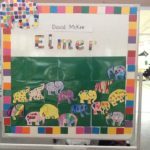 We read “Elmer” and made a class display!